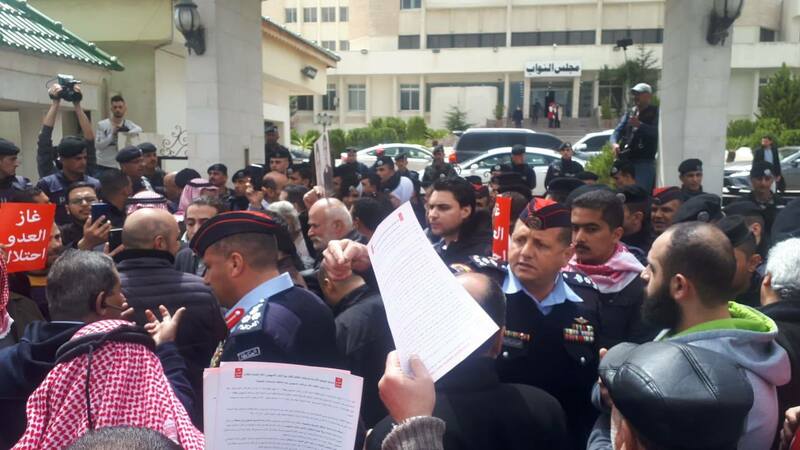 Tens of Jordanian citizens staged a protest in front of the House of Representatives on Tuesday, March 26, 2019, to drop the Israel-Jordan gas pipeline agreement. 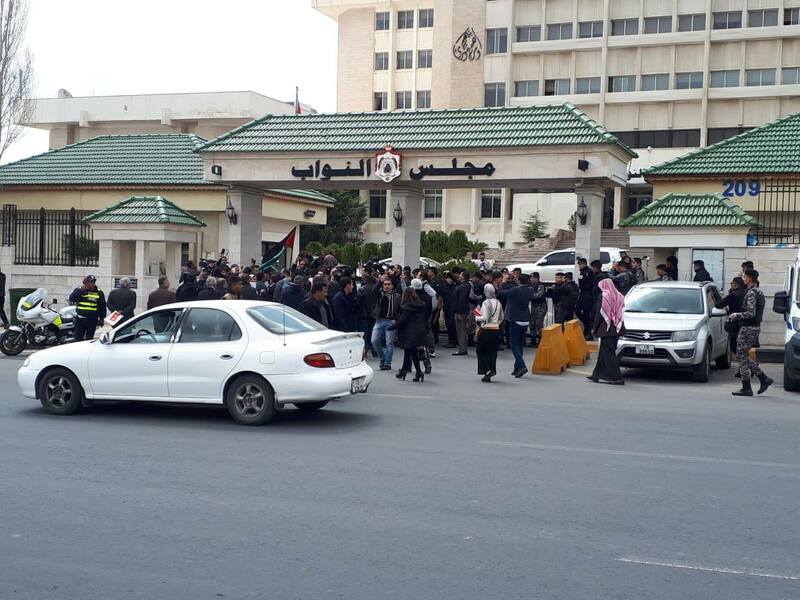 A number of citizens tried to enter the building of the House of Representatives, but a prior decision called on not issuing entry permits and accordingly citizens were prevented from entering. 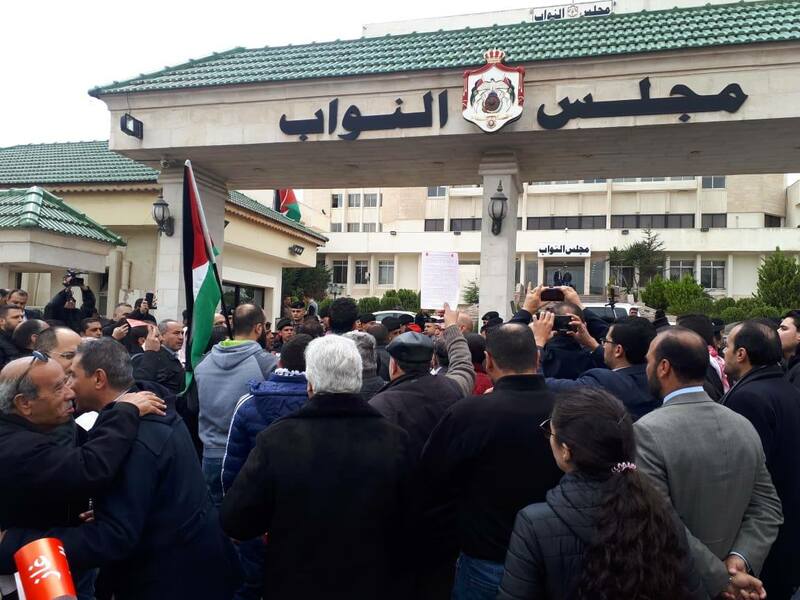 The Jordanian national campaign which aims at dropping the gas agreement has called for organizing a sit-in in front of the House of Representatives, as a negotiation regarding the agreement was expected to be concluded on Tuesday, March 26, 2019. 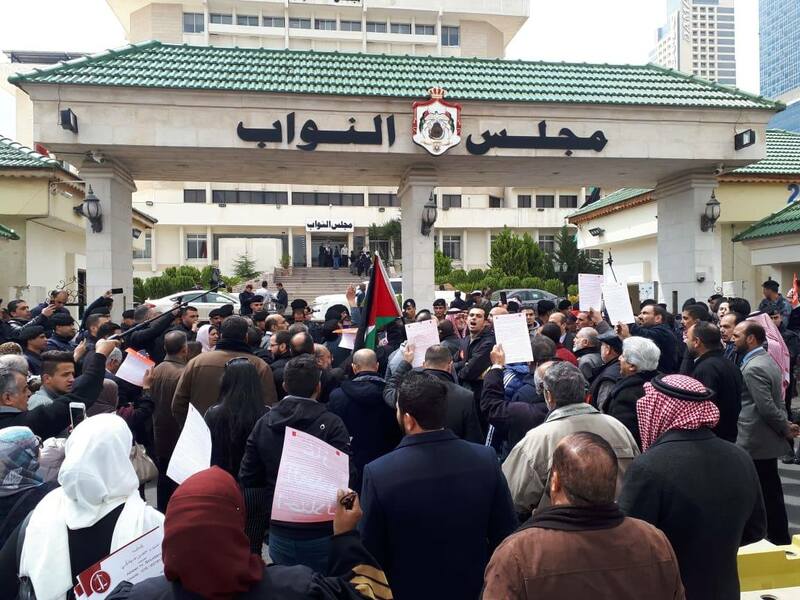 "Treaties and agreements that entail increasing expenditure on Jordan or affecting the public or private Jordanians' rights will not come into effect unless approved by the National Assembly and in no case shall the secret provisions be contrary to those made public," according to a post published on the official Facebook page of the campaign. 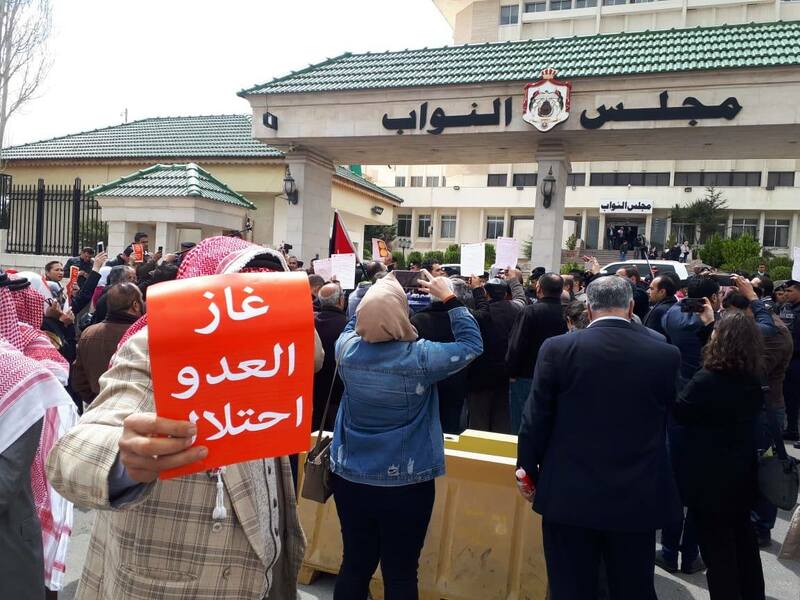 The House of Representatives will be discussing the agreement today after more than two years of its actual signing in September 2016.